The Altitude VI Lite Waterproof girl's walking boots are breathable, comfortable walking boots for kids who love the outdoors. 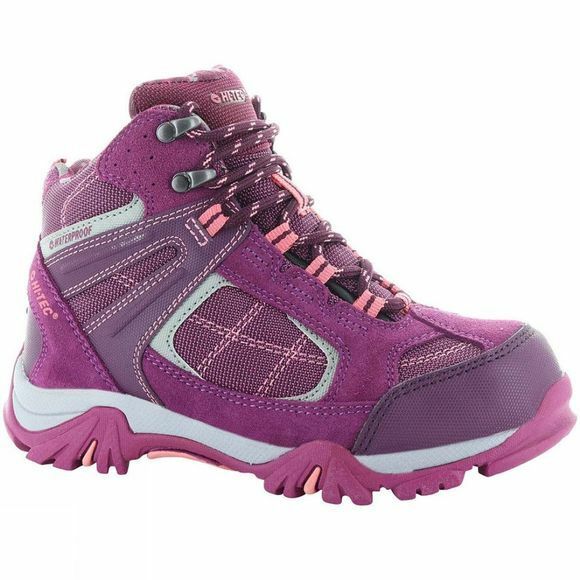 These girls waterproof walking boots feature Hi-Tec's unique Big-Fit dual insole system which extends the life of the boots. When your child’s feet grow, simply remove the volume adjuster insole to increase the boots by approximately half a size, giving them up to three month’s extra wear! The Altitude VI Lite girls waterproof walking boots also have a Dri-Tec waterproof and breathable membrane to keep feet dry, along with a breathable suede and mesh upper and a gusseted tongue to keep out debris. The impact absorbing midsole and cushioning insole provides long term comfort, while the durable Multi-Directional Traction (MDT) rubber outsole offers improved grip on varied terrain. 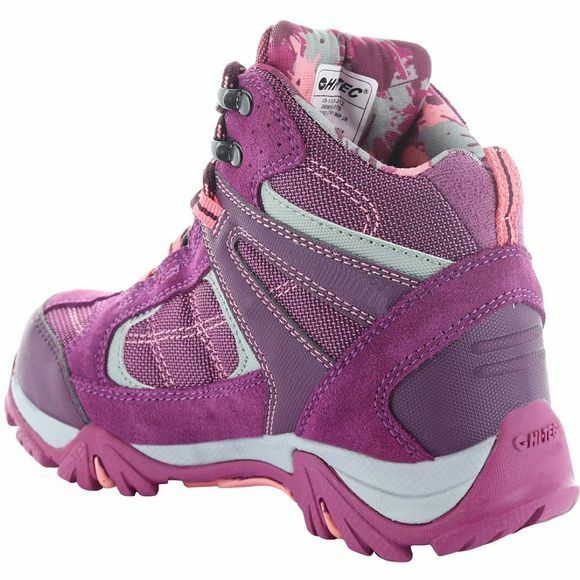 For kids who love walking the dog or puddle splashing on a nature trail, these comfortable girl's waterproof walking boots are a great choice.